The Wadi Qilt travels from west to east, draining a significant part of the northern Judean wilderness. 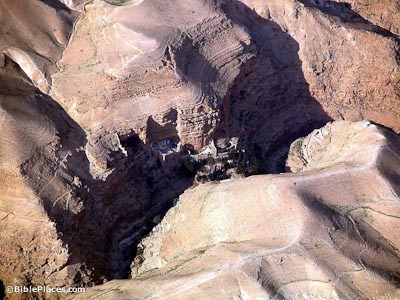 Along it runs the “Ascent of Adummim,” the main route from Jericho to Jerusalem. The Wadi Qilt is very deep and a barrier to traffic – travelers must travel alongside it rather than cut across it. In the photo at left, the gorge of the Wadi Qilt is in the center (with the monastery of St. George slightly visible). 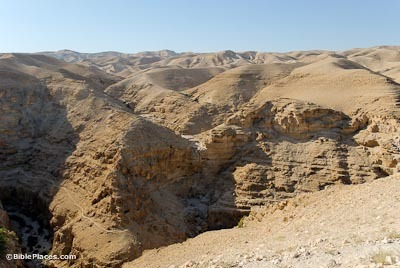 The Ascent of Adummim ran along the south side of the wadi (below in photo). The wadi itself is good for travel only for those out for a pleasant day hike. In ancient times, people made their way on the route above. Some of the biblical events which likely occurred on this route include: David’s flight from Absalom (2 Sam 15-16), Zedekiah’s flight from the Babylonians (2 Kgs 25:4), the story of the Good Samaritan (Luke 10:25-37), and Jesus’ travels from Jericho to Jerusalem (e.g., Luke 19:28). 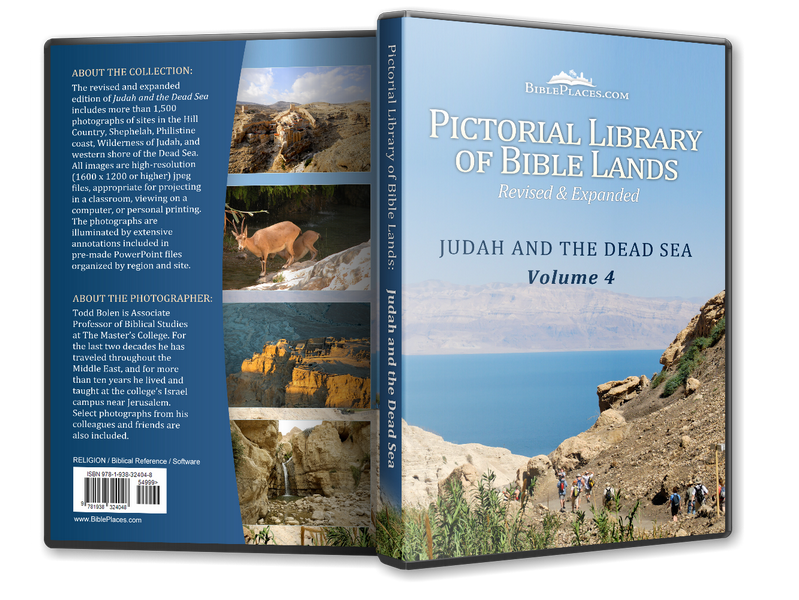 The Lord told Jeremiah to hide his loincloth at prt (Hebrew), a place which was translated as “Euphrates River” in the King James Version (Jer 13:5). A better translation for this is “Parat,” which is a spring a few miles from Jerusalem (pictured at left). 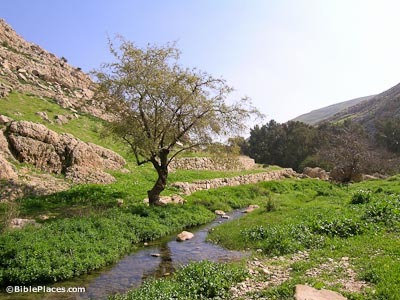 It does not make sense that Jeremiah would travel the very long distance (350 miles each way) to the Euphrates River twice, especially when this nearby spring fits the context well. The NIV and NET Bibletranslate it “Perath,” but the NASB and ESV follow the KJV. 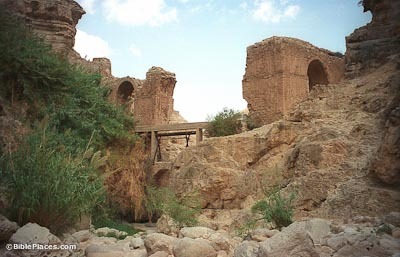 The aqueducts in the Wadi Qilt were built to channel water from the three springs, Farah/Parat, Fawwar, and Qilt. 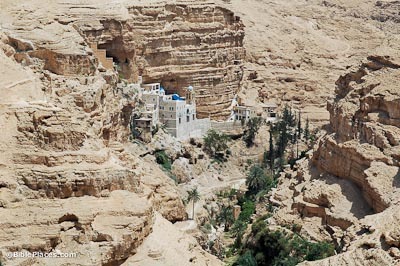 The water was taken to various destinations (including the monastery and the Hasmonean and Herodian palaces at Tulul Abu el-Alayiq), depending on the period. This Greek Orthodox monastery was built in the late 5th century AD by John of Thebes. He became a hermit and moved here from Egypt in AD 480. The monastery was named St. George after the most famous monk who lived at the site – Gorgias of Coziba. Destroyed in 614 by the Persians, the monastery was rebuilt in the Crusader Period. It fell into disuse after the expulsion of the Crusaders. In 1878 a Greek monk, Kalinikos, settled here and restored the monastery, finishing it in 1901.